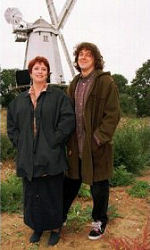 See also : Related merchandise for other items by Jonathan Creek's notable guest stars. Men Behaving Badly Jingle B***S! "Death" and "Happy New Year"
This page is made in association with Amazon.co.uk and Amazon.com.